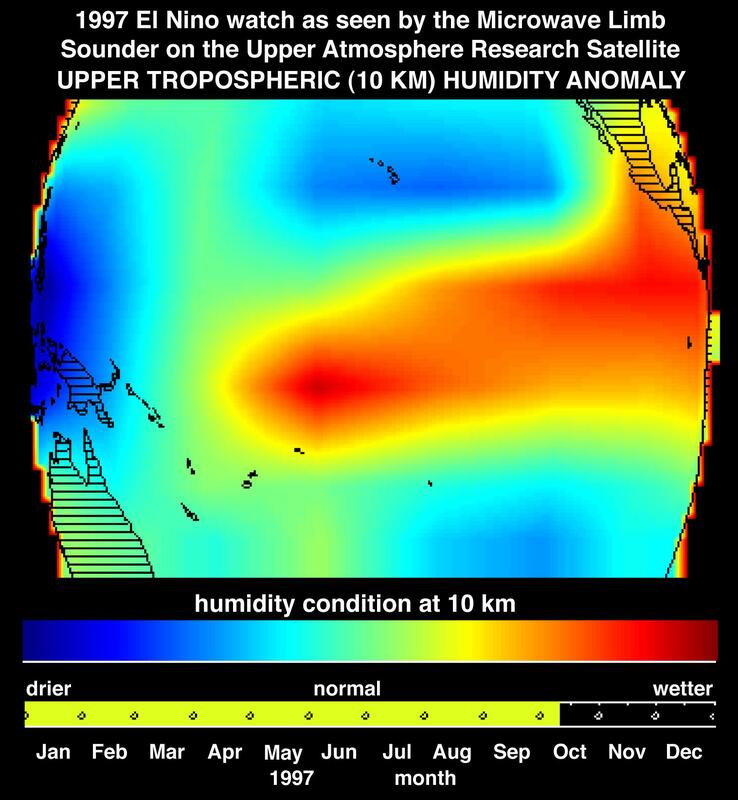 This image shows atmospheric water vapor in Earth's upper troposphere, about 10 kilometers (6 miles) above the surface, as measured by the Microwave Limb Sounder (MLS) instrument flying aboard the Upper Atmosphere Research Satellite. 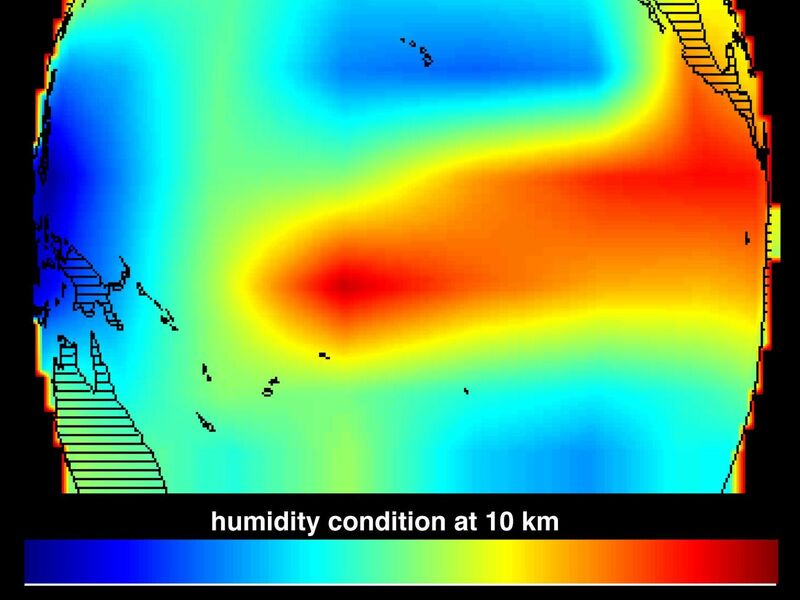 These data collected in early October 1997 indicate the presence of El NiÃ±o by showing a shift of humidity from west to east (blue and red areas) along the equatorial Pacific Ocean. El NiÃ±o is the term used when the warmest equatorial Pacific Ocean water is displaced toward the east. 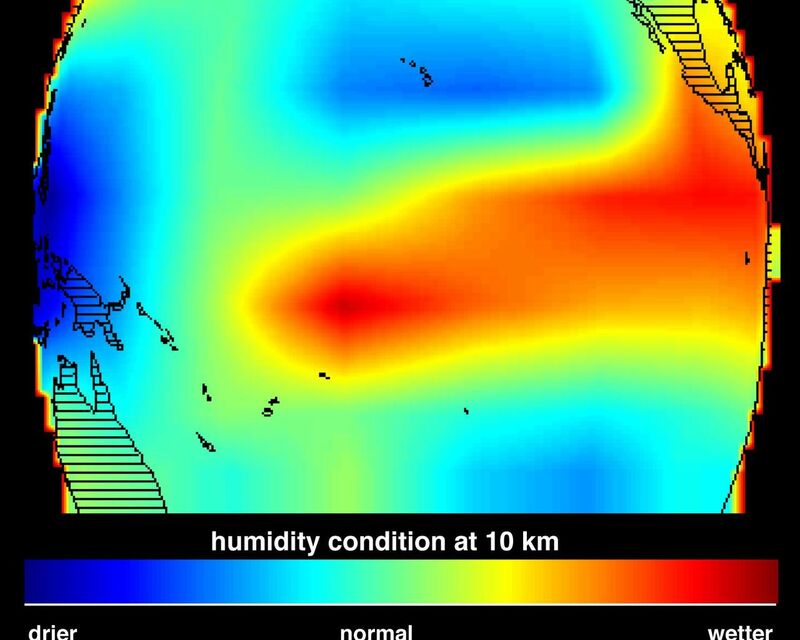 The areas of high atmospheric moisture correspond to areas of very warm ocean water. Warmer water evaporates at a higher rate and the resulting warm moist air then rises, forming tall cloud towers. 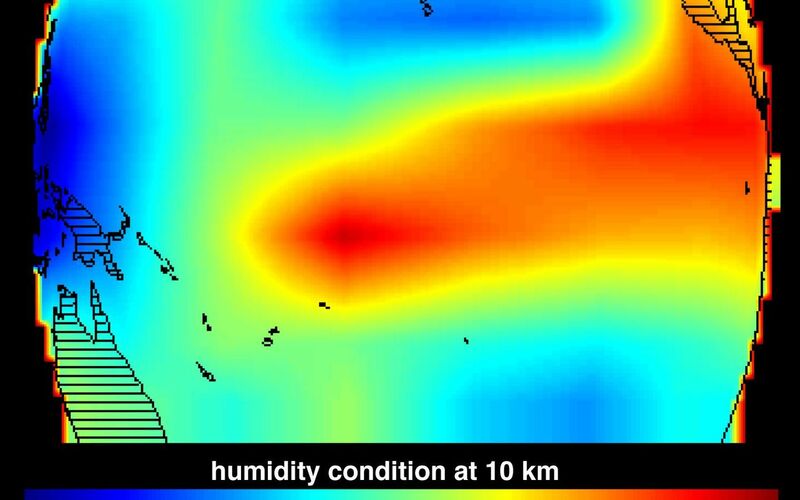 In the tropics, the warm water and the resulting tall cloud towers typically produce large amounts of rain. The MLS instrument, developed at NASA's Jet Propulsion Laboratory, measures humidity at the top of these clouds, which are very moist. This rain is now occurring in the eastern Pacific Ocean and has left Indonesia (deep blue region) unusually dry, resulting in the current drought in that region. This image also shows moisture moving north into Mexico, an effect of several hurricanes spawned by the warm waters of El NiÃ±o.